Lite System - Our lightweight backpacks come into their own during endurance sports and Alpine day treks. Reduced to the essential, they are ideal for comfortably carrying light to medium loads depending on the volume. However, lightness must never come at the expense of durability. 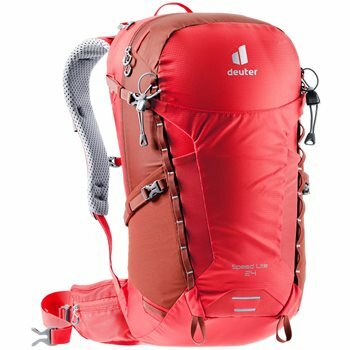 That is and always was our corporate philosophy, because disposable products put a strain on the environment and a backpack that falls apart high up in the mountains can also be dangerous. Delrin Frame - Tensioned Delrin® U Frame provides stability with little extra weight. Padded Hip Belt - An additional padding on the hip belt provides more carrying comfort. Sternum Strap - The sternum strap stabilizes the pack on the shoulders. Connectable Compression straps can be connected at the front of the pack to attach equipment. Safety light loop - A small safety light can be attached to the loop at the front of the pack. Shades Holder - Attachment for your sunglasses on the shoulder strap.